Cookies are also set to store shopping basket items. All cookies expire when the browser window is closed and session is ended. 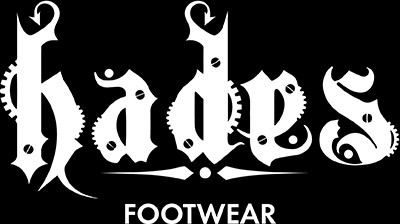 In no way does www.hadesfootwear.com.com store tracking cookies. Cookies do not give us access to your computer or any information about you, other than the data you choose to share with us. A cookie is a small file which asks permission to be placed on your computer’s hard drive. Once you agree, the file is added and the cookie helps analyze web traffic or lets you know when you visit a particular site. Cookies allow web applications to respond to you as an individual. The web application can tailor its operations to your needs, likes and dislikes by gathering and remembering information about your preferences.